Mango sticky rice is almost the perfect dessert. The white rice topped with coconut cream and perfectly ripe mango is sweet, rich and a tiny bit salty. So when we spotted a dessert shop in Chiang Mai that claimed to improve the classic, we had to give it a try. 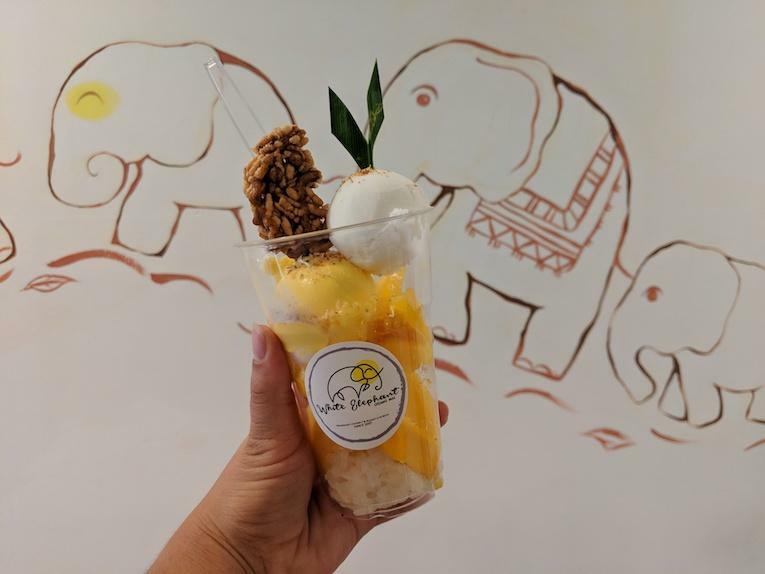 White Elephant Ice Cream Shop in Chiang Mai has turned the mango sticky rice game on its head. 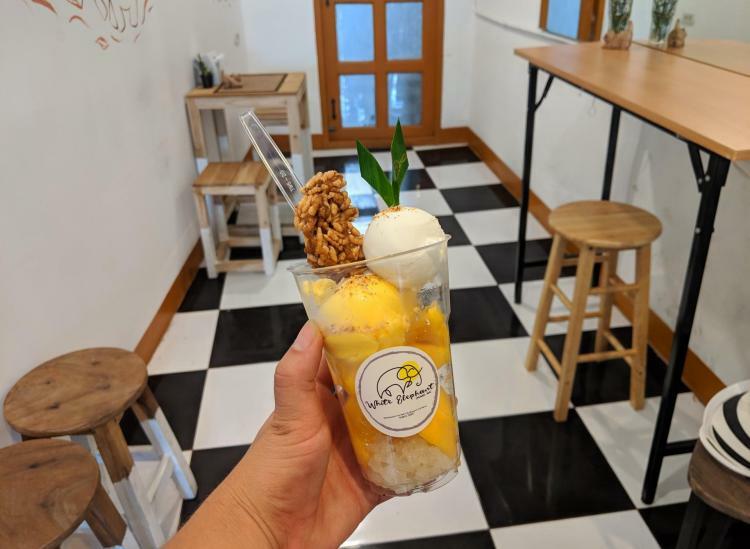 In adorably Instagrammable fashion, the dessert is served in a clear plastic cup so you can see all of the layers of what is essentially a mango sticky rice sundae. Inside, there’s the sticky rice mixed with coconut milk that’s in all mango sticky rice dishes, along with fresh juicy mango. But on top of that, you get a scoop of salted coconut ice cream — and this stuff is to die for. There’s also a scoop of mango ice cream in there (in case the rest of it wasn’t enough), as well as a crunchy cookie made from toasted mung beans. The coolest part about this sweet treat? It’s all vegan. And while not all vegan ice creams achieve that yummy smooth texture, this one nails it. Wondering about that green sprig on top of the sundae? It’s a pandan leaf. It gives sticky rice a hint of herbal flavor and looks oh-so-pretty as a decorative garnish. You can make a similar dish at home with your favorite brand of coconut ice cream, a ripe mango, sticky rice and lightly sweetened coconut cream. Looking for a DIY tutorial? Try this easy take from The New York Times.